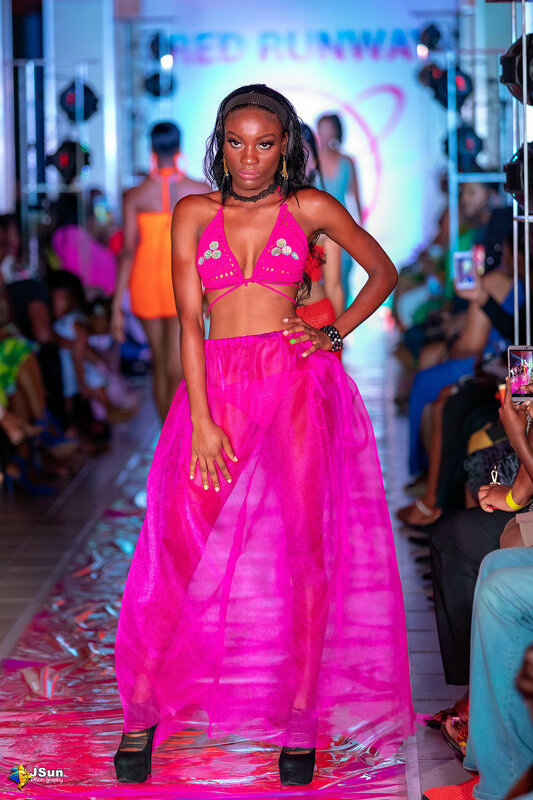 Trinidad and Tobago is quickly becoming a force to be reckoned with in the fashion world! Caribbean fashion is an equal mix of streamlined muted pieces as well as eclectic, brightly colored garments. On one hand, many fashion designers choose to create graceful items made with formal fabrics and neutral hues. Some of these fashion designers include stalwarts such as Meiling and Ecliff Elie. The other half displays a reflection of everything that is intimately Caribbean. Neon and pastel colors mimic the blue oceans, flora and fauna of the islands. 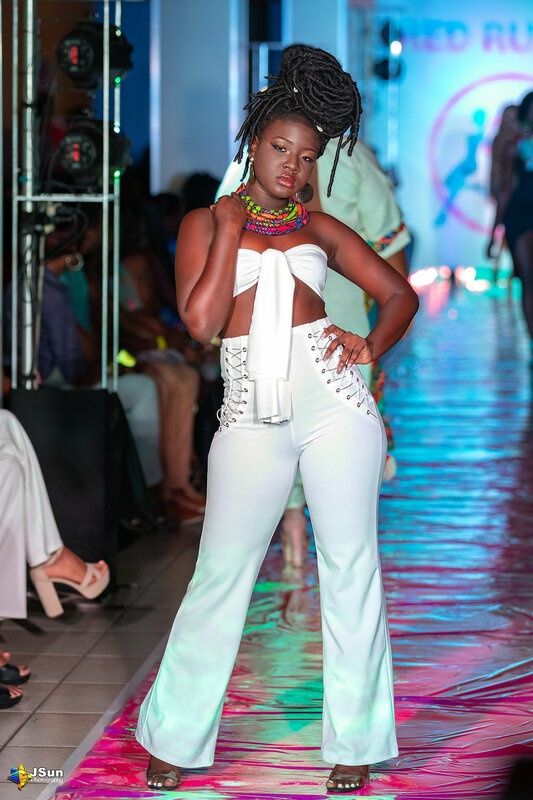 These elements were unveiled at the recently concluded Red Runway Fashion Show. Red Runway is an annual event which is a showcase of emerging fashion designers and models. 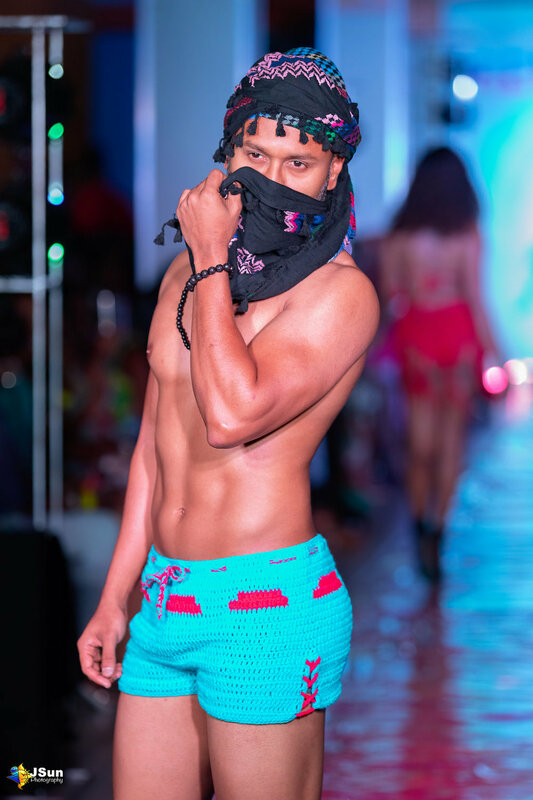 Designers showed off casual wear, swimwear and accessories with an assortment of prints, textures and fabrics. The models walked confidently down the shimmery runway while wearing creative designs. The show’s host, the energetic Marsha L Walker, kept patrons entertained as she distributed giveaways during the intermission. The fast - paced event ended as attendees were treated to local delicacies on their exit.